A forward-looking CMDB does more than keep an organization's IT operations running. It draws clear connections between IT components and business services, which is the core of Business Service Management (BSM). But even more critical than the CMDB's ability to support business as it is now, is the question of how well it will drive business innovation in the future. 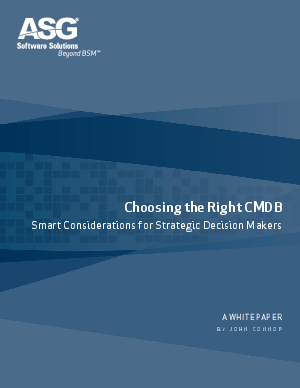 If a CMDB is right for modern business, it should go beyond BSM.